This is a definite crowd pleaser!! Be sure to make a lot as you are sure to run out!! 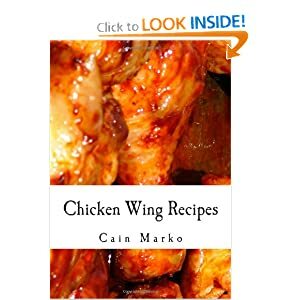 Order Chicken Wing Cookbook - Some favorites include: African Chicken Wings, Cajun Chicken Wings, Coconut Chicken Wings, Crispy Honey Wings, Chicken Wings from Hell, Nuclear Chicken Wings, Jerk Chicken Wings, Napa Valley Chicken Wings, Atomic Chicken Wings Puffed Chicken Wings, Parmesan Wings and many more! Get your own copy right now! 1.Cook sugar in a heavy bottom sauce pan with 2 quart capacity over low heat. 2.Allow the sugar to caramelize stirring with wooden spoon (sugar should be a golden brown and in liquid form but not black). 3.Carefully add fish sauce to the sugar (Note: the mixture will bubble vigorously). 4.The sugar will become hard but allow the sugar to melt again into the fish sauce. Add ginger and shallots or red onion; allow to soften. 5.Add chili sauce and sambal then stir to combine. 6.Allow sauce to cool to room temperature before coating chicken. 7.Sauce can be made in advance. 8.Pull out in advance and cool to room temperature. 9.Any leftover sauce may be refrigerated. 1.Toss the chicken wing pieces in the teriyaki marinade and refrigerate for at least 2 hours. 2.Heat oil in wok or frying machine to 350°. 3.Drain chicken from marinade then dredge in mochiko rice flour. 4.Using a sifter or colander shake off excess flour. 5.Drop the chicken pieces carefully into the hot oil and allow to fry until golden brown and internal temperature of 165° is reached on a metal stem thermometer. 6.Toss in the sauce to coat all pieces and allow some of the sauce to absorb into chicken. 7.Optional garnish of fine boas cut green onions and toasted sesame seeds.